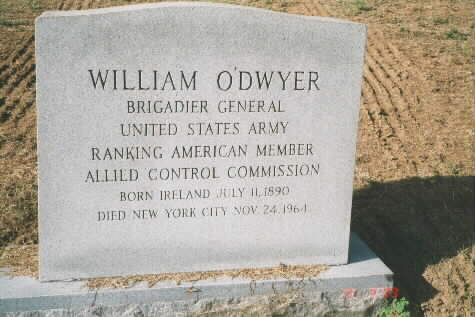 Born in Ireland on July 11, 1890, he studied for the priesthood in Spain but decided that he did not have the vocation and emigrated to New York City in 1910. He found work as a plaster's helper, longshoreman and as a policeman. While with the New York City Police Department he attended law school at night at Fordham University and graduated in 1923, giving up his policeman's job the next year. Eight years later, he was appointed a magistrate in Brooklyn, New York, and served in that office for six years before then being appointed a county judge. In 1939, he was elected District Attorney in Kings County (Brooklyn) New York and won a reputation for his vigorous prosecution of what came to be called "Murder Incorporated." 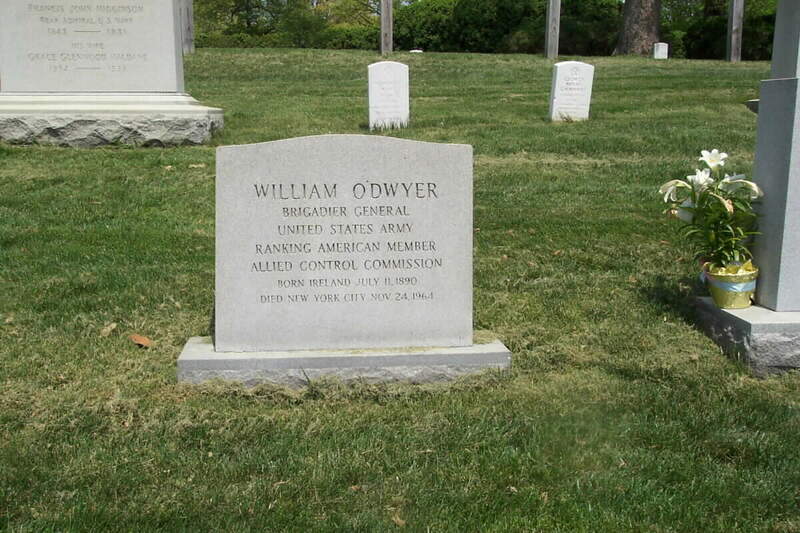 He first ran for Mayor of New York City in 1941 against Laguardia, whom he succeeded in 1945. He held that office for the next five years, at first building a reputation as an opponent of the corrupt influences of Tammany Hall. But when he resigned, it was on the eve of a scandal in the police department which involved some of his close associates. President Truman then named him Ambassador to Mexico in 1952, a position he held until the election of Dwight D. Eisenhower as President of the United States. Meanwhile, in the course of an investigation by the Senate Crime Investigating Committee (The Kefauver Committee), he was accused by that committee of contributing during his tenure as Mayor "to the growth of organized crime, racketeering and gangsterism in New York City." Nevertheless, he was never charged with any actual crimes in connection with his public offices. 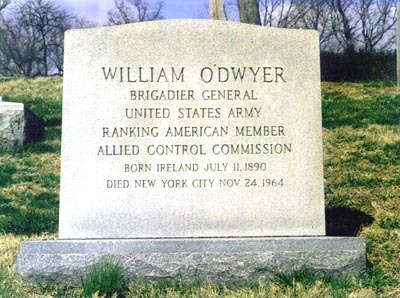 He died in a New York City hospital on November 24, 1964 at the age of 74 and was buried in Section 2 of Arlington National Cemetery.